Life insurance is an agreement between you and a life insurance company. You agree to make certain payments to the insurance company. The insurance company agrees to pay a sum of money to a person of your choosing if you die. The life insurance company which you select pledges to pay a death benefit to a person of your choosing (a beneficiary) so long as the policy is in force (current or active) at the time of death. The policy owner is responsible for paying premiums in order to maintain the poilcy in force. The most common purpose of life insurance is to protect the finances of one’s family or friends. Life insurance can also be used to hire childcare to replace a home-maker’s contribution, for estate protection, for mortgage protection, to fund a retirement, to protect a business against the loss of a key employee or as an employment benefit. Life insurance is understood best by dividing it into three categories: term life insurance, whole life insurance, and universal life insurance. 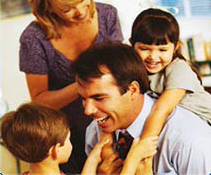 Term life insurance requires fixed payments on a set schedule and provides coverage for a specific amount of time (e.g. 10 years). The policy only pays a death benefit if the insured individual dies before the policy expires. Whole life insurance requires fixed payments on a set schedule. These policies guarantee coverage for life up to a certain age (usually 100 years of age). These policies guarantee a death benefit, so even if the insured individual outlives the policy, a death benefit will still be paid. These policies carry cash value, which means that they can be liquidated. Universal life insurance allows payments of any amount at any time (up to certain government-stipulated maximums). Coverage from these policies can be maintained indefinitely (no age limit). These policies can also be liquidated. 1. How big of a death benefit do I need? 2. How long do I need coverage?